Nagoya, Japan – Polymer surface coatings are important in numerous applications for producing surfaces with desired properties such as wettability, low friction, and biocompatibility. Surfaces are usually modified with polymers through grafting approaches to form chemical bonds between the surface and polymer. The type of grafting approach can influence the ordering and, consequently, the properties of the polymer coating. For example, polymer brushes are polymers tethered vertically with respect to the underlying surface, and can display quite different properties to the equivalent polymer with random orientation. 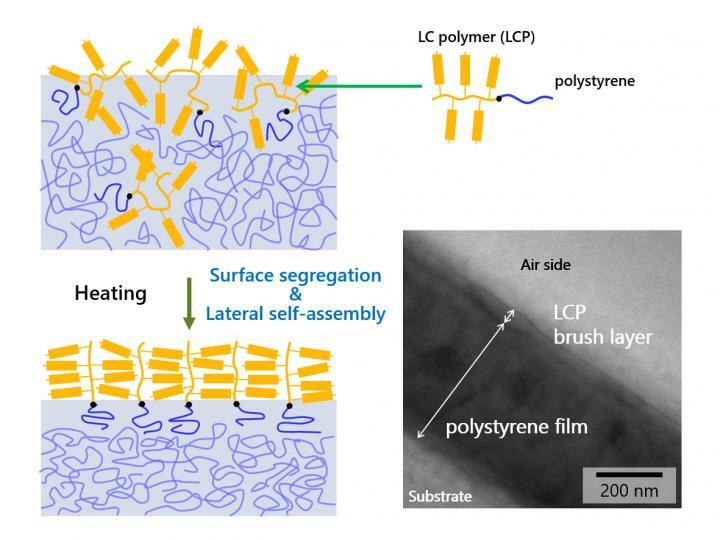 Polymer brushes are typically formed by polymerization initiated at surfaces.